A Health PSA educates the public and can effectively build awareness via Facebook, YouTube, and other online communities. The video identifies symptoms that could be early signs of bladder cancer and suggests checking with a doctor, as early detection of bladder cancer is key to better outcomes. In closing, viewers are invited to learn more at the campaign’s website. 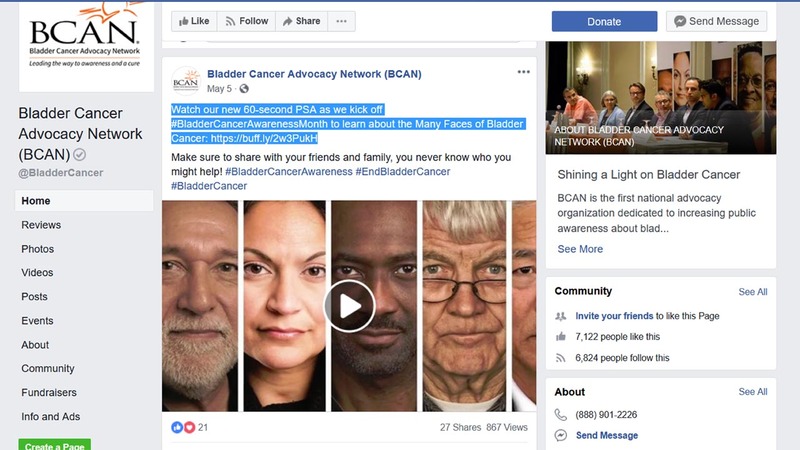 BCAN posted the video on its Facebook, YouTube, and other channels, and encouraged sharing and liking. If you’re planning a health awareness campaign, request an estimate with MiniMatters now to explore your custom public service announcement.